I have been trying to like Gazpacho for so long. Every time I order it, it is a big let down. 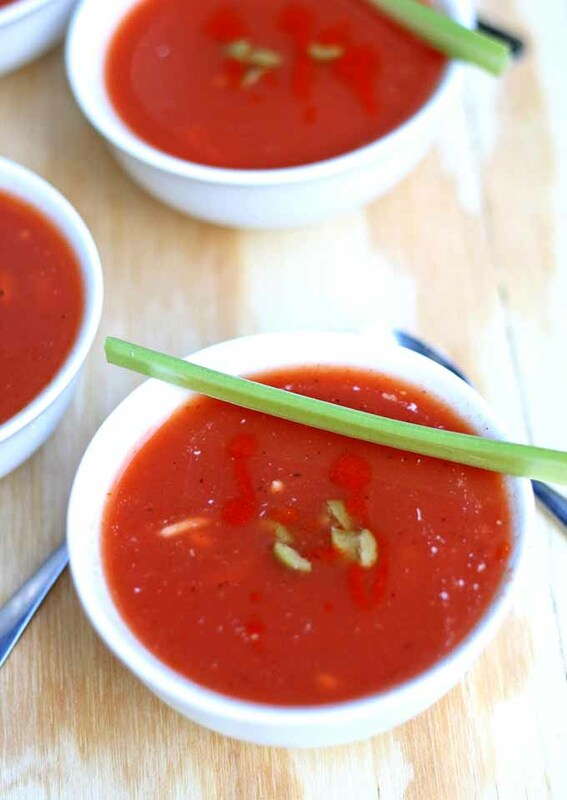 I love tomato soup but Gazpacho left a lot to be desired, until I perfected this easy recipe, that I first stumbled upon down south. Now I LOVE it....I make a huge bowl and keep it in my fridge. The secret ingredient in this cold soup is Bloody Mary Mix!!! It gives the Gazpacho just a little bit of kick to take it from drab to fab. Enjoy!!!! Stir ingredients together and chill before serving. YUMMMMMM! **** If you like a spicier soup, you can add a bold and spicy mix.